What Homeowners Need to Know After a Strong Wind Storm | The Voss Law Firm, P.C. Most homeowners pay their insurance premiums to make sure they are covered for damage in the event that a catastrophe or natural disaster occurs. However, homeowners often face problems with their insurance companies when they are trying to get their insurance claims paid. Oftentimes homeowner's insurance providers deny claims, refuse to pay claims, delay payments, or only pay part of the claim amount, which is insufficient to make the necessary home repairs. 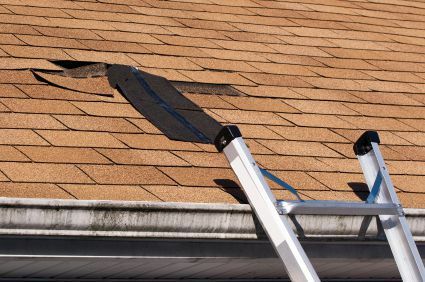 Most homeowner's insurance policies cover wind damage and damage from wind-driven rain; however, insurance companies sometimes can be unscrupulous and attempt to get out of paying these claims. Because of the hurdles you may face trying to get your insurance claim paid, you may want to have a lawyer on your side to help you get your Texas wind damage claim paid. When an insurance company knows that you have legal representation, they may pay out a higher amount or pay the claim on time without delays. If your home has been damaged by wind, an experienced insurance claim lawyer can help protect your rights and seek compensation on your behalf. You may just need help understanding your insurance policy, processing the insurance claim and filing the correct paperwork, or you may have been denied and need an attorney to fight against the insurance company. If your wind damage claim has been denied and you have been treated unjustly by your insurance company, contact Texas insurance claim attorney Bill Voss today. You can reach the Voss Law Firm at 888-614-7730 to schedule a free legal consultation. Also, order your FREE book today: Disputes With Your Insurance Company - What All Consumers Need to Know. This book is essential for anyone dealing with a property insurance claim dispute.